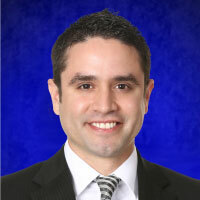 Speaker Bio: Roberto Valdez, CPA, CISA, CISM is a Manager with Kaufman Rossin’s Cybersecurity Services. He performs advisory and assurance engagements that include SOC 1, 2, and 3, IT risk assessments, phishing simulations, and engagements addressing compliance with requirements under HIPAA, FINRA, and SOX 404. These engagements have included multiple industries: utilities, manufacturing, retail, not-for-profit organizations, financial services, banks, technology, healthcare, and employee benefit plans. Rob holds a CPA license in the state of Florida and is a member of the American Institute of Certified Public Accountants (AICPA) and the Florida Institute of Certified Public Accountants (FICPA). Rob is also an adjunct professor for Florida Atlantic University. Topic Abstract: Organizations seek to increase productivity and reduce costly errors and breaches by replacing manual processes with automation, such as robotic process automation (RPA) solutions. As a result, bots are joining enterprise workforces at a rapid pace, and today’s startups are leveraging them to their full scale. This webinar provides an overview of cybersecurity considerations for designing, implementing, and operating a digital workforce.